Make coffee you love the easy way and at a fraction of the cost, with the Open Box Miele CM6350 in Graphite Grey! Its best-in-class espresso shots, one-touch milk drinks, and custom profile programming make this open box CM6350 a standout superautomatic for homes and small offices alike. This open box machine offers full-pot coffee brewing functionality, so that users can make up to 40 ounces of coffee all at once to be shared or sipped on throughout the day. 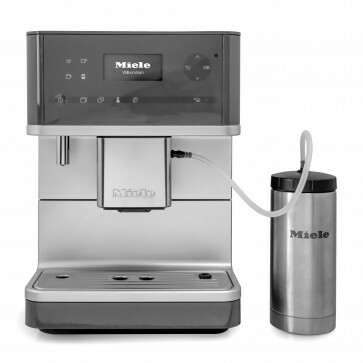 Other features include auto-on and auto-off timer modes, an active-heat cup warmer, a hot water spout for brewing Americanos and tea, barista cup lights, and an insulated milk carafe with automatic rinse profiles and hands-free cleaning. All this comes packed within a clean case that fits under kitchen cabinets—but its discounted listing means it won't be around for long! Catch this open-box shooting star before it's gone! Easy Cleaning - Miele has packed in custom cleaning profiles, including automatic rinsing, a nifty milk cleaning prompt and internal counts that keep track of coffee cleaning and descale cycles. Milk Cleaning - Plug the end of the milk siphon into the drip tray and hit ok! 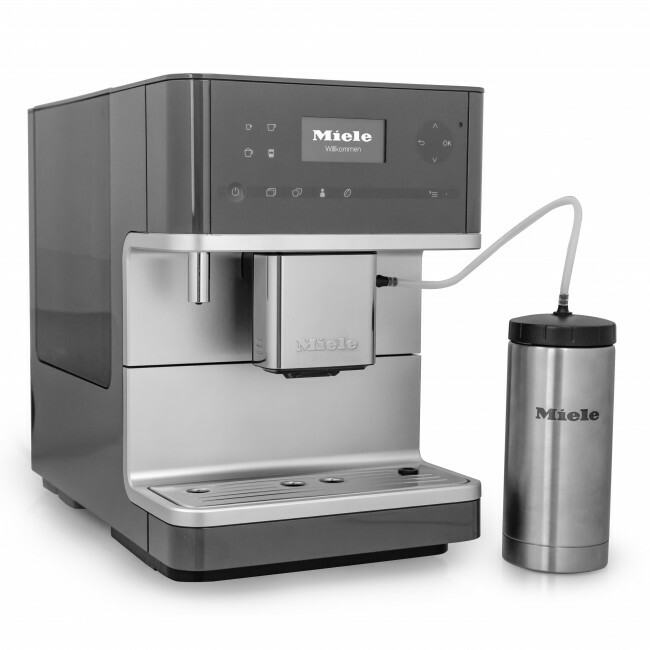 Your open box Miele will automatically flush through its milk system, no scrubbing or disassembly needed. Deep Footprint - We love the short, fits-under-anything height of this open box, but the trade-off comes with extra length. This stretch limo of an espresso machine goes on for nearly 17 inches.